Youssef Meddeb is the co-founder and CEO of One to One for research and polling. He is also a member of the Arab Barometer’s steering committee. Youssef Meddeb brings 10 years of experience of managing and conducting opinion polls across North Africa. In less than 3 years, One to One has become a leading survey firm in MENA, working with more than 50 clients from around the world on more 100 research projects per year in Tunisia and across North Africa such as Unicef, IFES, USAID, Democracy International, Us department of State, Princeton University, Heinrich Boell Stiftung, Konrad Adenauer Stiftung. The company includes 25 permanent employees, 10 consultants and 500 fieldworkers. 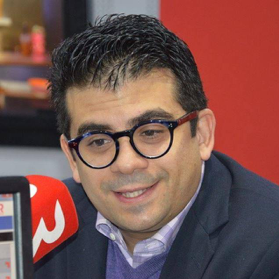 With an academic background in mathematics and statistics engineering, Youssef previously worked for City Bank, the Central Bank of Tunisia and for the SIGMA group, where he grew to head the regional division for Market Research,Opinion polling and Business Development. He is also the national partner for the Afrobarometer in Tunisia and the core partner for Arab index in North Africa.